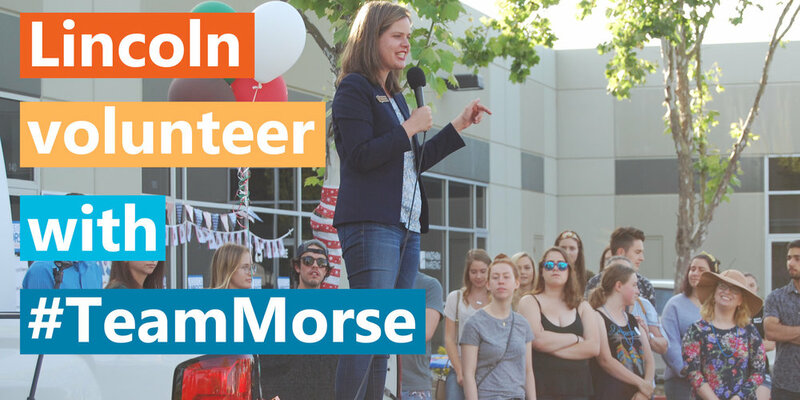 Join Lincoln #TeamMorse for our canvass event! Sign up to volunteer from 9AM-12PM! Bring sunscreen, water, a friend, and smile. We look forward to hitting the pavement with you! Thank you for signing up our Lincoln Canvass event. We look forward to seeing you soon. A staff member will be in touch with the location.